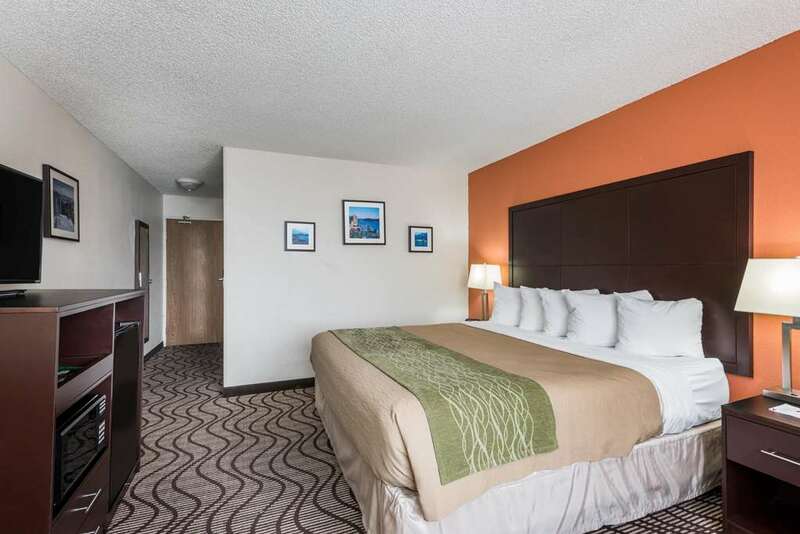 Refresh and revitalize at the all new Ramada Coeur d Alene hotel off I-90, walking distance from shopping and entertainment in downtown Coeur d Alene and outdoor fun at Lake Coeur d Alene. This smoke-free lodging facility is less than 20 miles from Silverwood Theme Park, less than an hour from Spokane, Washington and close to boating on Lake Coeur d Alene, golf at Coeur d Alene Resort Golf Course, gambling at Coeur d Alene Casino Resort Hotel, hitting the slopes at Silver Mountain Resort or Schweitzer Mountain Ski Resort or catching a show at the Lake City Playhouse Theater. Business travelers will find Odom Corporation, Kootenai Health, and Empire Airlines nearby, as well as plenty of dining options. This facility offers complimentary high speed wireless internet access, flat screen HDTV, complimentary breakfast buffet, in room microwave and mini fridge, as well as use of a heated indoor pool and plenty of large vehicle parking. Pets are welcome for a nominal fee.